Realizing the need to record our county’s agricultural history before we lose those stories, Ross Young, County Extension Director, got together a group of people who share his concern and vision. They met in January, 2012 to begin the daunting task of documenting the barns. Representatives from the Madison County School District, the 4-H Club, the Madison County Library,The News-Record Sentinel, the Madison County Tourism Development Authority, Mars Hill College Center for Regional Studies, Madison County Economic Development, the Genealogical Society and the Community Centers joined with the County Extension office representatives to brainstorm how to tackle this challenge. 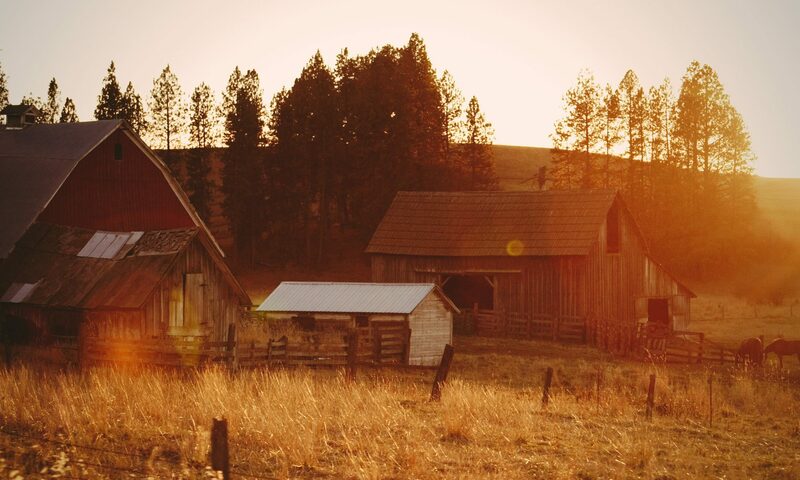 In August of 2012, we formed a non-profit corporation,”Appalachian Barn Alliance” to further our goals and to better enable us to preserve our barns in history and in fact. Some of the members of that original committee formed the Board, while others still serve either as committee members or on the Advisory Committee. In August of 2013, we received our 501(c)(3) status. Sandy Stevenson, President, retired from teaching high school U.S. History and moved to Madison County in 2002. She quickly became involved with volunteer groups ranging from the Arts Council to the Visitor Center. Her love of research and history found an outlet in writing the content for the tourism website assignment in her job as Director of the Madison County Visitor Center from 2009 until 2017. She enjoys sharing all that she has learned about Madison County’s heritage with tourists and residents alike and is always discovering new ways to showcase the richness of the culture to all. The projects of the Appalachian Barn Alliance provide the perfect vehicle to continue that pursuit. Michael Foster, Vice President, moved to Madison County in 2012 after retiring from ExxonMobil following a 31-year career as a petroleum geologist. Mike, and his wife Janet, explored several retirement options in the southeastern U.S., finally deciding on Madison County due to its moderate climate, endless outdoor possibilities and the overall natural beauty of the area. Mike is currently a member of the Rotary Club of Madison County, an active volunteer for Junior Achievement and the American Red Cross and has been a Board member on his HOA for the last four years. In his spare time, Mike enjoys working on various projects in and around their mountain home, hiking the area trails, visiting the local craft breweries and recently has begun dabbling in stained glass. Rob Kraft, Treasurer, retired after 35 years of service with ExxonMobil in 2003. He and his wife, Melanie, relocated to the community of Sodom in Madison County. Here they built their home. Rob is a member of The Weaverville United Methodist Church Men’s group. Here he helps to organize 3 Blood Drives a year and builds ADA Ramps for Mountain Housing Opportunities. Rob volunteers his time in the food pantry of Neighbors In Need. He enjoys the outdoors and raising Grass Fed Beef from inception to your freezer. Janet Foster, Secretary, retired in 2012 after a 30 year career as a geophysicist/software developer in the Texas oil and gas industry where she focused on imaging 3D seismic data. She and her husband Mike immediately fled the concrete city for the natural beauty of Madison County. Janet has past volunteer experience as an alumnae club president and treasurer, a collector’s club treasurer, and community group board member of the Gulf Coast Regional Blood Center. She currently volunteers for the American Red Cross and the Marshall Native Gardens Initiative. Janet loves to ride her bicycle, sew, needlepoint, and learning to play the fiddle. The beautiful sunrise view from their mountain home reminds Janet every morning to cherish the responsibility and privilege of living in the Appalachian mountains. Keith Ray, Board Member,, spent his early childhood with his mother and maternal grandparents on a farm in the Revere (nicknamed Sodom) section of Madison County. They lived in a two story log house built in 1933 from logs cut on the farm. His father was career Army and after retirement from the military worked for the Geological Survey and traveled extensively. The time on the farm was mainly spent raising vegetables and food (hay and corn) for farm animals. His family home was built on land next to his grandparents house when his father retired from the military. Keith graduated from Laurel High School, U.N.C. Asheville (B.A,), Western Carolina (M.A.) and spent a long career with the Madison County Schools as a teacher and administrator. After retirement from education Keith acquired a real estate Broker license and worked with the Madison County Tax Office as a Property Appraiser. For several years Keith raised tobacco, vegetables and kept quarter horses. Now retired he enjoys his time gardening, playing golf and spending time at the lake with his wife Starr, their daughter and two granddaughters. David Wyatt, Board Member, grew up on a farm in the Petersburg area of Madison County. David graduated from Marshall High School and Western Carolina College and returned to Madison County to teach science and math at his alma mater for three years. After earning an MA in Education, he went on to positions as a principal in western North Carolina schools and then at schools in Madison County when he and his wife, Willa, moved back in 1974. He served as Superintendent of Madison County Schools before his retirement in 1996. David lives on the family farm in Mars Hill where he and his sons raise beef cattle. David enjoys working on the Wyatt family “Home Place” that includes a log cabin dating back to the early 1800s, the original smoke house, pack house and spring house. Matthew Pierce, Board Member, moved to Madison County in 2017 with his wife, who serves on the faculty of Mars Hill University. An economic developer, Matthew works with cities, counties, and regions to develop strategic plans for targeting industrial recruitment and restructuring economic development organizations. Though he grew up in North Carolina’s eastern Piedmont, he prefers the a more South Carolina style mustard-based barbecue. Jeannie Blethen, Board Member, was raised in Southwest VA on a farm where she had to hand-milk cows before school in the morning. So much of her childhood was spent in her grandparents’ barn in Smyth County that when the latest owner intended burning it down, she salvaged the stall doors and stored them until they could be installed as the back wall of the sunroom in her log home in the Rector Corner community. Jeannie served as Secretary/Treasurer of the newly formed Southwest VA Land Trust in 2004-2005, and had put her 261-acre farm into a conservation easement program with The Nature Conservancy so that it would remain a legacy of rural living. She has lived in Madison County since early 2007.She and her husband Chuck currently have a teaching vineyard and small family farm with Scottish Highland cows, horses, chickens, and rabbits. Jack Thomson, Board Member, is a native of Western North Carolina and attended the University of North Carolina at Greensboro. After college, Jack excelled as a third generation home builder and real estate agent, eventually working as a project manager for a historic restoration contractor in Charlotte, N.C. His projects there included a log barn reconstruction for the Charlotte Museum of History, restoration and stabilization of structures at Historic Brattonsville in South Carolina and adaptive reuse of important cotton mills in the heart of downtown Charlotte. In 2004, Jack became the Executive Director of Historic Salisbury Foundation where he stayed for 6 years. He has been the Executive Director of the Preservation Society of Asheville & Buncombe County since 2010. Over the past 16 years in preservation, Jack has worked to save nearly 100 buildings primarily through the use of real estate transactions, protective covenants and preservation easements. Sara Nichols, Board Member, moved to the area in 2001 for college at Mars Hill University where she studied Natural Resources. Her career in Madison County started by serving the people in the community at a local restaurant and eventually led to working with farmers protecting water quality through agricultural BMPs. She now currently is the Madison County Planner where she works to help with planning for a bright community future through a diverse variety of projects. Sara’s not afraid of hard work and spends most of her spare time disassembling and cleaning up a local neighborhood eyesore- you should ask her about it, she has photos! Taylor Barnhill, Lead Researcher, grew up in the NC Piedmont and spent most summers of his childhood working on an uncle’s tobacco farm and quickly learned that rural culture was in his blood. After completing an architectural degree and graduate studies in regional planning in 1974, his work brought him to Madison County as a consulting architect for the Hot Springs Health Program. Like so many people who visit Madison County, he fell in love with the mountains and the people, bought a farm, and set about absorbing all aspects of Appalachian history, culture, and natural history. Throughout that quest he came to recognize that the barns were the iconic heart of the family farm and its noble mountain lifestyle of self-reliance and resiliency. He now works to understand the creative minds of those barn builders who are now long gone.